At Fundy Highlands, we offer cozy chalets and efficiency studios, minutes from the famous Bay of Fundy, which has the highest tides in the world. 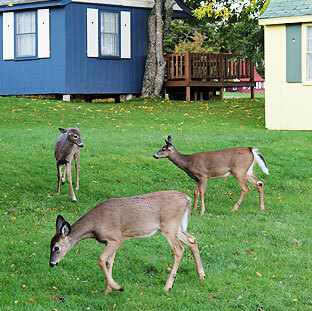 Conveniently located in the heart of beautiful Fundy National Park, you'll find our accommodations surrounded by the peace and serenity of nature, yet central to all park activities. Our accommodations are well suited for families, small groups, and those who want convenience and reasonable prices. We take pride in offering clean, comfortable accommodations and personal commitment to customer service. As hosts, our duty is to make your stay one to remember. 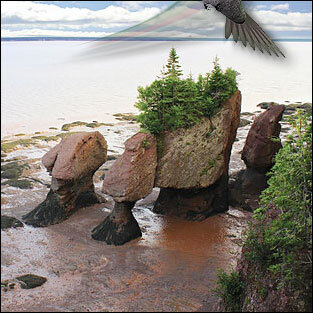 We introduce guests to the activities in and around the park, including the vast variety of trails in Fundy National Park, the park interpretive programs (which are a great hit with children of all ages), the Cape Enrage coastal drive, the best time to visit the Hopewell Rocks Ocean Tidal Exploration Site, golf, sea kayaking, canoeing and we'll tell you how to best enjoy the celebrated Bay of Fundy lobster. We’ll answer the most common question of all... "Where can we go to see moose?"